For over 40 years McCurley’s Floor Center, the leader in floor covering and floor care and maintenance products, has been providing quality cleaners, finishes, and maintenance products at the best prices. 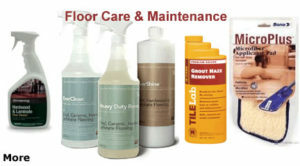 Whether you are looking for residential or commercial floor cleaners, hardwood care products, carpet cleaners and maintenance items, tile and laminate care products, specialty flooring cleaners or more, we carry them all. We are located in the Northern California Bay Area in Concord and San Ramon, and we ship nationwide. Keep us in mind to bring you the best in safe and environmentally sound floor care products.